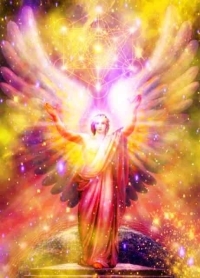 Metatron, mighty seraphim, angel of the presence, remains a fixture in spiritual history. When you look down at Tarot images you hope for guidance and answers. You want maximum clarity. You want maximum accuracy. You want truth for yourself and for your client. You can hope to achieve this level of accuracy by going beyond limited human understanding. Sure, you can fall back on feel good memes and self-affirmation. You can close your eyes and pray your intuition kicking it to highest gear. You can do all that and you can take it one step further when you open the spiritual faucet to highest levels of awareness. Step in Master Metatron! Such a connection comes in handy when it comes to Tarot reading. Remember, we aren’t using Metatron. You can’t begin to use Seraphim angels. We are aligning ourselves closer to highest vibrations through spiritual meditations and conjurations. Alignment with spirituality reality allows the flow of spirit to awaken truthful awareness in our hearts and minds. Each tradition has its own favorite angel to call. Ours Metatron. We call on Metatron before every reading for guidance. We use a unique method combining shuffling with chanting of the name to make sure not only the mind is aligned, but so are the cards. Put the cards in your hands. Close your eyes. Meditate on your breath. Imagine myself as a child. Focus on pure innocence. Feel child-like innocence alive, vivid and strong as you can. Chant “Noor” (Arabic for light) or “Aoor” (Hebrew for Light). Visualize your whole body made of pure light. See and feel the cards in your hands surrounded by brightest light possible like super-nova of brilliance. Chanting Nur and keep the visualization strong for at least five to ten minutes. Add Metatron’s name to your chant and feel a connection. Focus on Metatron’s name and his presence. Ask your question and make affirmations. For example: “O great Master Metatron, in the name of the Holy of Holies, the Light of all Lights, I ask you to aid and assist me in this process of divination. I ask you, O Master Metatron, to send unto me the Roohaniah of the realm of spirit and the terrestrial realm to influence my hands and the cards I am holding. Let it be that every card that appears be chosen to provide an accurate answer to my question. Let these cards become living instruments of the Divine guidance. O Roohaniah al-Nooraniah (Spiritual Emanations of Light) descend upon me and upon these cards. Let them become instruments in both our hands to give and provide the most accurate of answers. By the power and authority of Metatron reveal unto my mind and heart the answer for question (x) from the spiritual realm. Let this answer be true and clear and a revelation from on high. Let the seventh card represent (a)” For example, (a) could be the past concerning employment. It is important that you let the spirits know what the seventh card signify in relation to your question. Shuffle as you chant the names with your mind focused only on the question and the significance of the seventh card. Do this until you feel something has pushed you to stop. It will be an overwhelming feeling of either STOP or it is DONE. Don’t create the feeling and don’t resist it. Count six cards and then lay the seventh down as the first card. Bring the cards again together (minus the card on the table) and repeat the process starting with the affirmation. It is common for a good Tarot spread to have multiple cards laid out. For each of these you will need to repeat the affirmation, specify the new significance for the next seventh card and then do the reshuffle coupled again with the chanting. To elaborate, let’s say the first round it was: “Let this answer be true and clear and a revelation from on high. Let the seventh card represent the past influences on my employment.” Then on the second round you might say: “Let this answer be true and clear and a revelation from on high. Let the seventh card represent the current opportunities facing my employment.” Then on the third round you might say: “Let this answer be true and clear and a revelation from on high. Let the seventh card represent the nearby outcome of my employment status.” This would be an example of a 3 card spread. I generally like to keep the reading within the bounds of 11 cards or less. You might be thinking that is a long prayer to memorize. I don’t have it memorized either. It’s a basic template. Make up your own. Just stay focused. If you’re worried it might take an hour to get started, don’t. It shouldn’t take more than 20 minutes. Twenty minutes is a long time if you’re a reader in a psychic shop and you have a long line of customers. However, if you are doing a reading that has high level of personal significance than 20 minutes is nothing for the sake of an accurate answer, which will change someone’s life.